It’s so easy to be lured by the colours and flashing lights of the made in China deluge. But 9 times out of 10, the toy has broken by the time the wrapping debris has been cleared from the floor on Christmas morning. Why not shop locally this year? Look for handmade items that will be treasured for years and support people in your community. My children were spoilt with some local products to review this year and I have come to the conclusion that we are surrounded by the most amazingly talented people in South Africa! 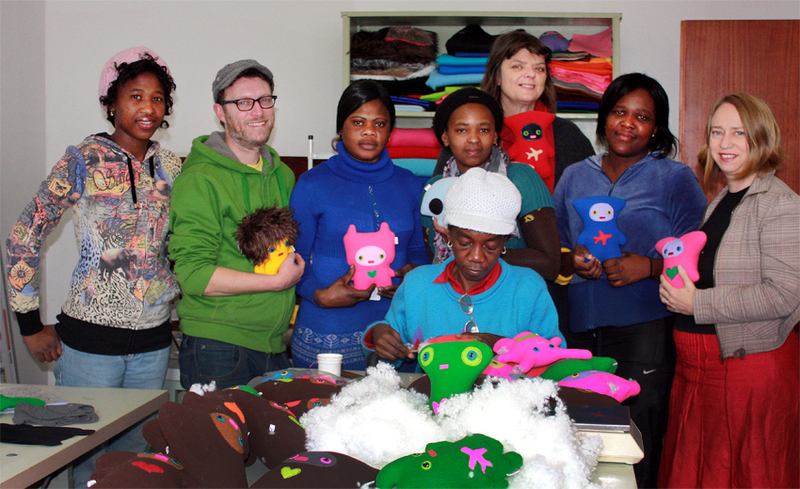 The Siyakhula Doll Cooperative is a self-help success story. Established in May 2008 as part of the Angus Gillis Foundation’s self-help group programme, this small, thriving craft business is based at the Mgcamabele Community Centre on Kwandwe Private Game Reserve. Each individually handmade Uthando doll is 35cm tall and comes in one of three themed outfits – traditional Xhosa dress, Shwe Shwe print or safari ranger gear. The boy and girl dolls have jointed limbs and are made from brown cotton material, stuffed with a light-weight washable hollow-fibre stuffing with sculpted faces and hand-painted features. As the demand for these beautiful dolls increases, so further employment opportunities can be created and more women can be trained to make the dolls. Every order can make a difference! 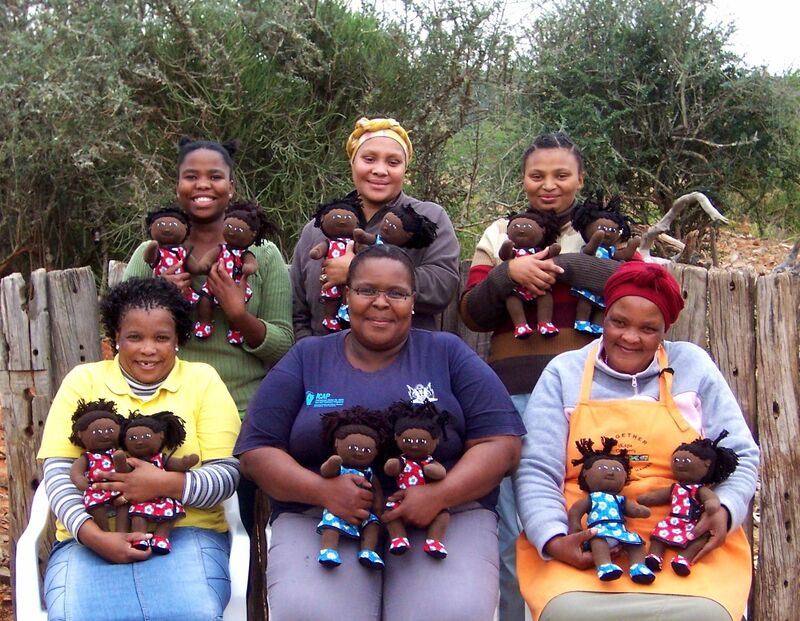 A percentage of each doll sold is donated to the Angus Gillis Foundation and is used for the on-going establishment of self-help facilitated income generation initiative and retention initiatives in the rural areas of the Eastern Cape. I was sent two dolls in lovely shwe shwe print outfits. The dolls are exquisitely made and are way more than your standard rag dolls. The dolls have opposable limbs and gorgeous braided hair. Each doll has hand painted features and comes with a label with their name on it. They are too beautiful and will be treasured for many years. You also get the feel-good aspect of helping out a community of talented women. Woo-men Plush Toys are a range of quirky, comic plush character toys for kids and grown-ups. They’re each handmade in Cape Town South Africa. The Woo-men characters were designed by Pete and Elaine Woodbridge of Studio Woo in Cape Town. It was a combination of comic illustration and handcrafts that gave rise to these lovable character toys. There are 16 unique characters each with its own quirky personality. Woo-men are immediately appealing and irresistible to touch. Kids love them and so do ‘Kidults’. Woo-men will brighten up a bed, chair, book shelf or dresser in your home. The Woo-men characters are Bed Head, Bru, Cherrie, Carrot Head, Funny Bunny, Little Alien, Kitty Myow, Ninja, Skully, Space Baby, Ted, Woo, Woof and Woohoo, Woo Mama and Mr. Tiny. I was sent a pink Space Baby. According to his tag, Space Baby is a natural astronaut who floats around and giggles. Space baby time travels and his clock gives the time for jumping through the portal. Baby is meant to be looked after (when around). Space Baby loves yoga. He really is gorgeously cute and funky, and my daughter loves carting him around by his pointy top bit. The Woo-men are safe for babies and made with top quality materials. These Woo-men would make a fab present for kids both young and old. Aromasoothz sent me a sweet little Aromahugz soothing bunny. This silky soft toy goes in the microwave for 30 seconds. Your baby or child gets to hug a warm little bunny that exudes gentle lavender oil which soothes baby to sleep. Aroma Soothz products are sourced and crafted by an all-women team based in Durban, South Africa. They assure their customers that only materials of the finest quality are used. This little bunny is SO soft and cuddly and my daughter just loves it! 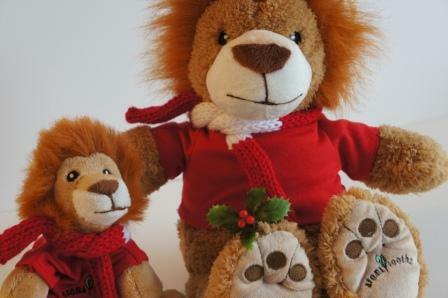 They have a special Christmas Aromahugz called Christmas Rusty Roary and Christmas Baby Roary, both dressed in cute red t-shirts and red and white scarves. These would make SUCH cute Christmas presents! They also make a lovely Earth Baby massage oil under the Earth Angel range. The grape seed and wheat germ oils are light, glide well and are well absorbed and the lovely lavender and chamomile scent is very soothing. For a chance to win a Rusty Roary and Baby Roary Christmas Hugz like the Dr Mom’s Facebook Page, Pop along to the Aromasoothz page and say that Dr Mom sent you.